The 1st ASEAN Coffee Industry Development Conference (ACID 2018) will be held during 14-17 February 2019 at Chiang Mai International Exhibition and Convention Centre, Chiang Mai, Thailand. The Second edition of AGRITECHNICA ASIA, the world’s largest trade fair for agricultural machinery and equipment, is once again ready to be the agricultural exhibition that covers all of Asia by focusing on Asia’s largest agricultural buyers from across the region. AGRITECHNICA ASIA emphasize on agricultural engineering solutions that are both relevant and important to the development of agriculture in the Asian markets. Mechanization through modern machinery will increase significantly in the next decade mainly due to the growing labor shortages, more competition and therefore the requirement to reduce production costs. Under the terms of the joint venture, the DLG – German Agricultural Society, organizer of AGRITECHNICA in Hanover, Germany, and Dutch-Thai exhibition organizer VNU Exhibitions Asia Pacific, organizer of VIV Asia and Horti Asia in Bangkok, will collaborate to establish one of the most powerful joint ventures in the agricultural exhibition industry. The sixth edition of Horti ASIA, the region’s largest trade exhibition for Horticulture in Asia, is once again ready to be the agricultural exhibition that covers all of Asia by focusing on Asia’s largest agricultural buyers from across the region. Horti ASIA emphasizes on agricultural solutions that are both relevant and important to the development of agriculture in the Asian markets. Horticultural & Floricultural Production and Processing Technology through the latest/ creative innovation will increase significantly in the next decade mainly due to the growing labor shortages, more competition and therefore the requirement to reduce production costs. Horti ASIA 2018 co-located with AGRITECHNICA ASIA, the trade fair for agricultural machinery and equipment from Germany, will be held from 22-24 August 2018 at EH 98, BITEC, Bangkok, Thailand. The International Working Conference on Stored Product Protection (IWCSPP) held every four years, is the premier world forum for presentation of research results and bring together researchers, scientists, consultants, pest management professionals and administrators involved in pest management and quality maintenance of stored raw grains, processed food products, stored spices, stored animal products, artifacts and specimens in museums. The previous meetings of the IWCSPP have been held in various countries. This upcoming 11th IWCSPP will be held in Chiang Mai, an ancient beautiful cultural city in north Thailand. Topic: Heat and cold to control insects in museums. For this reason, the AFACI has embarked on the regional project on Cassava Postharvest Mechanization. One year after its implementation in September, 2012, now the researchers who are involved in managing the project get together and share experience and acheivements in this meeting, which will establish a basis for the remaining two-year implementation. The Organizing Committee takes pleasure in inviting scientists, students, farmers, policymakers and other stakeholders in the vegetable sector to participate in SEAVEG 2014: Families, Farms, Food – Regional Symposium on Sustaining Small-Scale Vegetable Production and Marketing Systems for Food and Nutrition Security to be held on February 25-28, 2014 in Bangkok, Thailand. The significant contributions of small-scale farming systems in attaining the Millennium Development Goals and other internationally agreed benchmarks to eradicate poverty, enhance food and nutrition security, and strengthen local economies will be the focus of SEAVEG 2014: Families, Farms, Food. This regional symposium will examine how policies and practices to sustain small-scale agriculture—and vegetable production and marketing in particular—can improve availability of and accessibility to safe and nutritious food, and contribute to better nutrition and balanced diets, thus enhancing the socio-economic development of ASEAN member states. 9 – 10 May 10.00 – 18.00 hrs. 11 May 10.00 – 16.00 hrs. 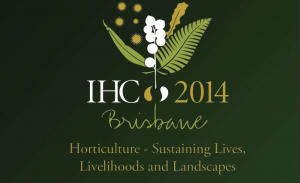 industry and provide horticultural information. technologies in order to improve horticultural industry.